While the stands at PPG Paints Arena are commonly filled with Black and Yellow, there was also an influx of Gold and Navy for the Memorial Day series opener. The reason? Extremely favorable ticket prices in Pittsburgh combined with an extremely limited ticket market in Nashville. 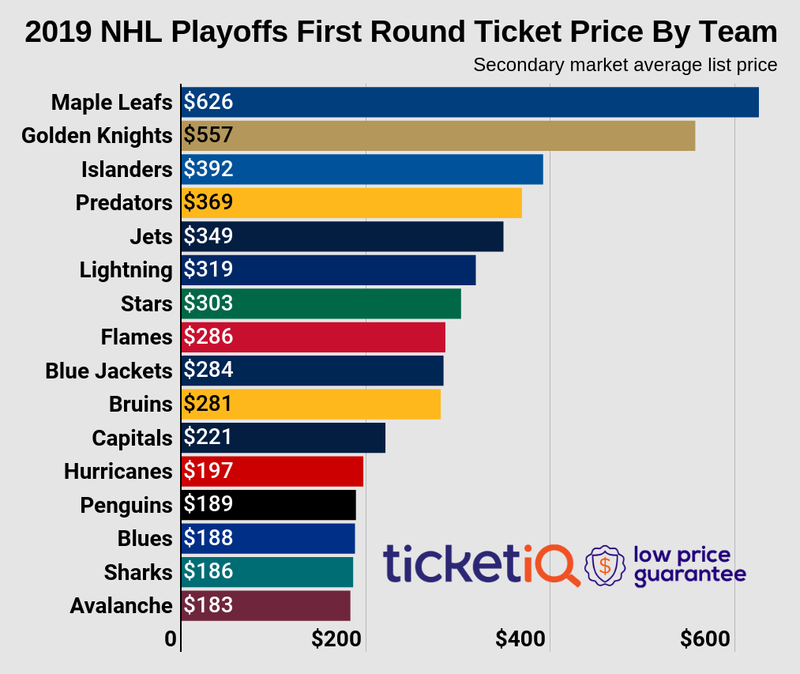 Game 1 of the Stanley Cup Final saw cheapest tickets fall as low as $211 and Wednesday’s Game 2 has over 1,600 tickets listed on the secondary market with a “Get-In” price of just $230. This $230 price point is up 16% from the start of Game 1 but down $20 from Game 2 of last year’s Stanley Cup Final vs the San Jose Sharks. Meanwhile, the cheapest ticket listed for Games 3 and 4 at Bridgestone Arena is listed for $1,030. In fact, due to a severely limited market (less than 400 tickets are available between Games 3 and 4) we wondered if it’d be more cost-effective for Predators fans to arrange travel to Pittsburgh for Game 2 as opposed to shelling out over a grand for tickets in their home arena. We looked to our pals at Priceline and did the math. As of 12pm EST on Tuesday, the cheapest round trip flight from Nashville to Pittsburgh (departing 5/31 and returning 6/1) was $338 and a one-night stay at a 2.5 star hotel in Pittsburgh was listed for $48. Couple that with Wednesday cheapest Game 2 ticket of $230 and you have an “All-In” price of $616… over $400 cheaper than the cost of a single ticket for the Stanley Cup in Nashville.